Chalk Couture was founded by Tara Roark and it just celebrated it's 1st anniversary! 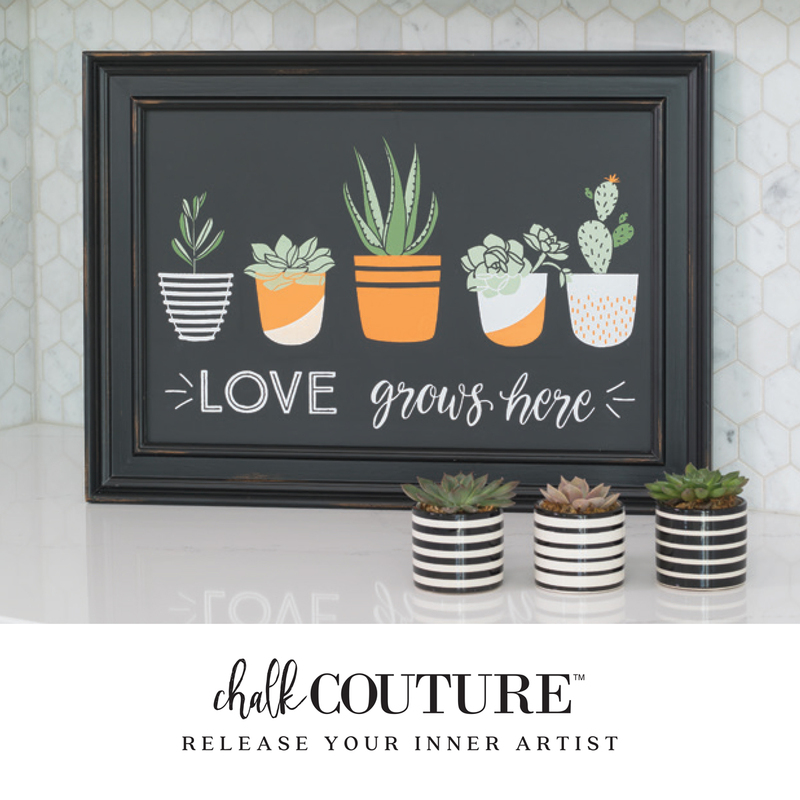 Chalk Couture specializes in products that make it easy for just about anyone to create a beautiful work of art. How is this possible? With our innovative silk-screen transfers (think stencils), specially formulated chalk pastes, chalkboards and wood surfaces. These items combined, bring the world of easy but beautiful DIY to life. Chalk Couture has opened up the world of DIY sign making for me and for you! If you are like me, you have walked the isles of your local craft store or the home decor section of your favorite one stop shop. As you walk those isles you see amazing wall hangings, Holiday themed designs and fun or sentimental sayings. They look like they came right out of the latest episode of Fixer Upper. Your inner craft diva thinks "I can make that! I want to make that! I should make that!" I have yet to trek down to my local hardware store to pick up the wood pallets, wood planks, chalk boards, stain, nails etc.. Oh, how I have longed to make those signs AND now I can and in less time then it would have taken! In addition to our transfers, paste and hard surfaces we specialize in a unique permanent Couture Inks (when heat set). This ink can be used on just about anything that can take the heat ie: fabric, mugs, glass etc.